Pabllo Vittar is a major star in her native Brazil, racking up a string of Top 10 singles and sold out arenas before her Major Lazer collaboration “Sua Cara” brought her international recognition. She has 1.5 billion YouTube views and 390 million Spotify streams. Her 2017 album Vai Passar Mal further distinguished her as a vocalist and advocate, and this collaboration has been anticipated globally online since the band debuted it at Lollapalooza Brazil earlier this year. The first glimpse of it was the highest amount of engagement the band has ever received on Twitter. 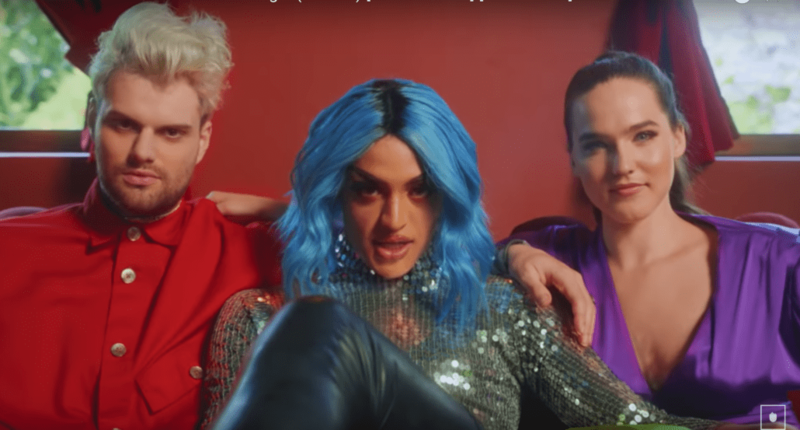 On their fall North American tour, SOFI TUKKER will continue to partner with PLUS1, this time to support The Trevor Project’s work providing crisis intervention and suicide prevention for LGBTQ youth. At every headline show this fall, fans will be able to learn about local efforts serving the LGBTQ community through a partnership with The Ally Coalition, a group of allies in the entertainment industry partnering to strengthen a network of LGBTQ organizations by engaging fans and directing resources to fight for LGBTQ youth. Fans can apply to volunteer on the tour here. SOFI TUKKER’s debut album Treehouse is the pinnacle statement in the duo’s bold take on dance pop, which has found an impassioned fanbase across the world over the past two years. Just as infectious as their colossal pop hooks is the spirit at the heart of SOFI TUKKER which encourages us to find our bliss and be our truest selves fearlessly. SOFI TUKKER’s Treehouse is a place where we all play together and imagination is the law of the land. Won’t you join them? Watch “Energia (Parte 2)” video below and tell us your thoughts in the comments.